In general, it is not a criminal offence to fish for or take trout in Scotland. However, this does not imply that there is, as some would assert, a free right to fish anywhere. The rights of riparian owners are protected by principles of civil law and permission should be sought before fishing. Marbled hatchet fish are the only known fish that can actually fly by jumping into the air and moving their fins? 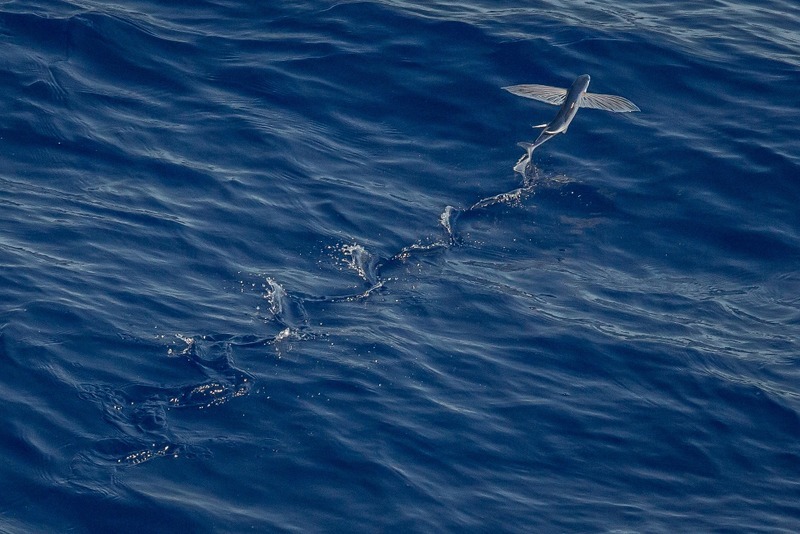 While they cannot fly in the same way as a bird does, flying fish can make powerful, self-propelled leaps out of water where their long wing-like fins enable gliding for considerable distances above the water's surface. This uncommon ability is a natural defense mechanism to evade predators. Flying fish live in all of the oceans, particularly in tropical and warm subtropical waters. They are commonly found in the epipelagic zone, the top layer of the ocean to a depth of about 200 m. It is often known as the "sunlight zone" because it is where most of the visible light exists. Fish get their oxygen from the water, not the air. Fish get their oxygen from the water, not the air. To do this, fish are equipped with gills instead of lungs. Gills are made of small filaments that let water flow freely around them. They are located behind a fish's head. A fish takes in water by swallowing. The worlds largest known Catfish was the Wels species, caught in the former Soviet Union, it measured 16.5 feet long and weighed 660 pounds. The finfish family has been swimming in the world’s oceans and seas for almost 500 million years, outliving the dinosaurs and other prehistoric animals. Shrimp are the most popular shellfish in the world, with over 300 commercial species harvested worldwide. A 120 pound Swordfish with the sword still intact was found in the stomach of a 730 pound Mako Shark caught off Bimini, in the Bahamas. Orange coloured meat in a mussel or clam indicates that it’s a female, if the colour of the meat is white, then it’s a male. The founder of the Shell Oil Company was an avid shell collector, with his favourite being the Sea Scallop shell. Hence, the Scallop shell logo featured at gas stations and other Shell Oil promotions. The fastest men can run about 35 km/h (21 mph). Which means that even the dolphin is faster. Dolphins can reach 60 km/h (37 mph). Which fish is the slowest? Sharks can swim 70 km/h (44 mph). Even Killer Whales reach those speeds. The fastest shark species, the Mako, can swim at 96 km/h (60 mph).fish reach 64 km/h (40 mph), Marlin 80 km/h (50 mph) and the fastest fish of all, the Sailfish, 109 km/h (68 mph). Did you know fishes cannot live in the Dead Sea because the water has too much salt in it? It is 25% salt - 6 times more salt than in the oceans. The Dead Sea is a salt lake that is 80 km (50 miles) wide and 10 km (6 miles) wide. It lies between Israel and Jordan. Did you know fish talk to each other? Some of them communicate by making noises in their throats by rasping their teeth, others use their swim bladders to make sounds. The largest jellyfish ever caught measured 7′6″ (2,3 m) across the bell with a tentacle of 120 ft (36 m) long. The heart of a blue whale is the size of a small car. The tongue of a blue whale is as long as an elephant and a blue whale weighs as much as 40 rhinos.